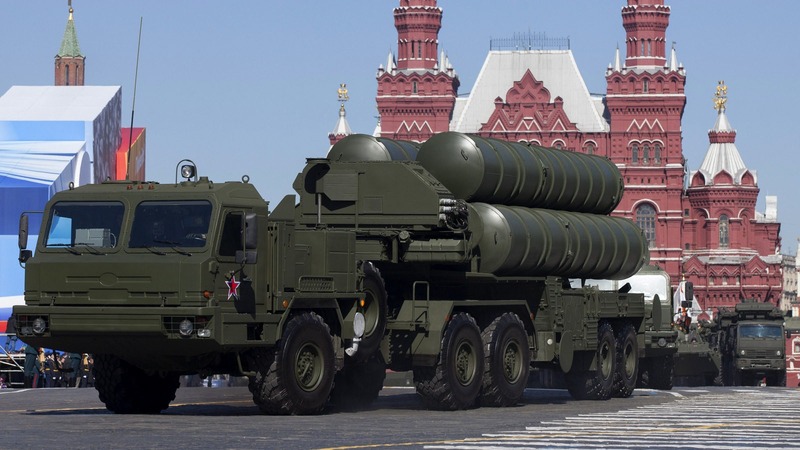 Despite the Indian Defense Minister’s recent hint that the S-400 Triumf air defense missile systems for the Indian Air Force is in the final stages of its negotiations, there are enough dark clouds hovering over the deal. 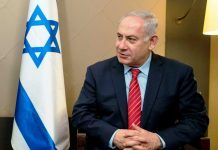 The way in which all the parties go on to negotiate this deal, would to some extent anticipate the complexity in navigating between the two major competing powers. The S-400 deal amounts to a whopping US$ 4.5 billion, one of the largest defense deals signed in recent years by India. The deal assumes importance for quite a few reasons; first, the deal would fundamentally alter India’s ballistic missile defense against its neighbors. Second, it promises to restore the zing that India-Russia relations have quintessentially symbolized for close to 50 years but has somewhat been lost in recent years. 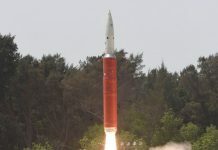 Third, if successfully negotiated, the deal would retrospectively exemplify more hedging space for both India and Russia against the US, than thought of. Although, the processes leading up to the deal are likely to prove a bigger headache for India than Russia, primarily because it is India that is perceived to be in the US camp – while Russia remains the age old outsider and opponent. As such, India as a partner-in-making will find it more difficult to circumvent the US sanctions under the latter’s recently negotiated Countering America’s Adversaries through Sanctions Act (CAATSA) rules. Here, Russia’s own expectations are likely to transform into India’s liability because of the complex dynamics between the two major powers. Although it stands to lose a substantial amount of money if the S-400 deal falls through, Russia has little to lose in the negotiation process itself. The negotiation processes are important for various reasons as they will test the mettle of India’s independent relations with Russia and the US. While the first bilateral in the dynamics is backed by years of trust and strategic connections having stood the test of time, the second reflects India’s changing shades in foreign relations even as altered geopolitical circumstances have necessitated a different outlook rough the embrace of the US. Besides geopolitical concerns, the flux is accentuated due to the long term financial implications of the S-400 deal. While for Russia the deal would certainly extend the gap with the US in the race to becoming the largest arms supplier to India, the US would be concerned about its negative implications on the distant possibility of the sale of Patriot III missiles to India. Amidst these, the biggest question is whether India will successfully circumvent US sanctions under CAATSA, if it goes ahead with the S-400 deal? If recent history of India’s relationship with the US is any indication, the latter might create a special provision for India, as it has done in the past when the US designated India as a Major Defense Partner and sealed it with a Congressional mandate. However, a cautionary note here would be that India’s elevation as a major defense partner was backed by a tacit promise of years of military supplies primarily benefitting the US, while making exception under CAATSA for India has no such declaratory benefits for the current US administration that is unflinchingly transactional. Moreover, Trump’s anticipatory response to lose from a business deal between two countries, one of which is its rival, must not be difficult to guess; the unpredictability associated with him notwithstanding. The amount of money involved in the deal could make it difficult to convince the US about creating an exception for India. However, CAATSA’s clear terms of waiver that allows a third partner waiver for a maximum of 180 days with renewal as an indefinite possibility could be a workable instrument to be evoked. The other concern for the US is that making Congressional exception for India would set a bad precedent for other countries which are waiting to buy the same systems or its variants and other military hardware from Russia. For instance, Vietnam currently uses the Su-30 fighters and the S-300 air defense system generating substantial dependence on Russia. Russia is also believed to be pushing Vietnam for the S-400 air defense systems. Indonesia too, has expansive military imports from Russia, led by the import of Sukhoi Su-35 fighter jets underway. Turkey has signed a $2.5 billion agreement with Russia for S-400 missiles with the delivery of the missile systems scheduled for 2019. While Turkey is a NATO ally of the US, its Asia-Pacific partners like Vietnam and Indonesia along with India are extremely important cogs in its latest Asian strategic wheel spin; the Indo-Pacific strategy. 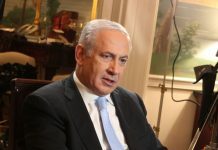 Last month, some US concerns vis-à-vis Russia were assuaged when Israeli Prime Minister travelled to Moscow to have a possible deal to buy the S-300 systems from Russia, canceled. Another US partner, Saudi Arabia, has already warned that Qatar’s successful attempt to buy the S-400 missile systems from Russia could invite an attack from Riyadh. In the recent past, US’ NATO allies like Poland and Romania have imposed faith in the US ability to provide reliable missile defense against the Russians by buying the American Patriot air and missile defense systems. However, Turkey has bucked that trend despite being a NATO ally. Beside speaking volumes about the technological edge of the S-400 systems due to hyped demand of the Russian surface-to-air missile defense system, such a rush to buy the systems would only guarantee a more tense strategic environment up ahead if majority of the anticipated deals were to go through in Russia’s favor. Probably more importantly, it would also mean Russian penetration and gradual upper hand in Ballistic Missile Defense technology in sub regions sensitive to the US; West Asia, Eurasia and the Asia-Pacific. The primary US concern in all these would be apropos interoperability with its partners, which would be rendered difficult due to involvement of Russian technology in sensitive areas such as missile technology and radars. The interoperability concern will be primary for the US even in the case of India, if the latter goes ahead and buys the S400 missile defense systems. Especially, in the aftermath of the Defense Trade and Technology Initiative (DTTI) between the India and the US the promise for sharing of sensitive technology has strengthened. Although substantial progress under the DTTI is still to be made, the trust for technology sharing is likely to be depleted in the aftermath of India’s S-400 deal with Russia. The only ray of hope for India is probably its ability to convince the US about the possible use of the missile systems along its border with China, churning up the containing China narrative. In return, India should expect a hard-nosed diplomacy from the US for pushing through COMCASA and BECA agreements. For India, the opportunity provides for a conundrum as well as an opportunity. Its conundrum lies in thinking of ways to circumvent US sanctions while still buying the missile defense system from Russia and it’s opportunities lie both with the US and Russia. The unique advantage of being in a position to make deals with two rival major powers is uniquely bestowed to India, thanks to its NAM legacy and strategic autonomy in foreign policy. For some time now, India’s proximity with the US has provided the right opportunities to advance its own interests by quasi-aligning with a major power. However, India has shown consistently that just when clarity in perception in its partnership building starts emerging, its strategic autonomy rears its head. This ambiguity provides the requisite maneuverability to India for hedging against quite a few powers in the current international order. The S-400 deal provides India just the right opportunities to sharpen its hedging skills against two of the world’s dominant major powers.